Microsoft has explained how 1080p users will benefit from the additional power inside the upcoming 4K-capable Xbox One X. On various occasions, Microsoft has stated that its upcoming enhanced Xbox One console will also improve games running on a ‘standard’ full-HD 1080p display, but didn’t reveal the specifics about how the console will accomplish that. ‘Supersampling’ appears to be the keyword, as covered by website The Verge. Games optimized for the Xbox One X will be receiving Microsoft’s ‘Xbox One X Enhanced’ branding, which means that a developer has done extra work to optimize its game for Xbox One X. This may include higher resolutions, faster framerates and/or improved textures, but this is up to the developer. On both 4K and 1080p displays, the game will run and look better. Microsoft is allowing developers to use ‘supersampling’ to internally downsample 4K image quality to a 1080p display for better antialiasing. As a result, 1080p users will benefit from higher framerates, improved game textures, and improved image quality. Various ‘unpatched’ Xbox One games will also benefit from the console’s extra power by ‘boosting’ loading times, and improving its resolution and framerate (if variable framerate and resolution was applied before). This approach for unpatched Xbox One games appears to be similar to the PS4 Pro’s ‘boost’ mode, which was introduced by Sony earlier this year. 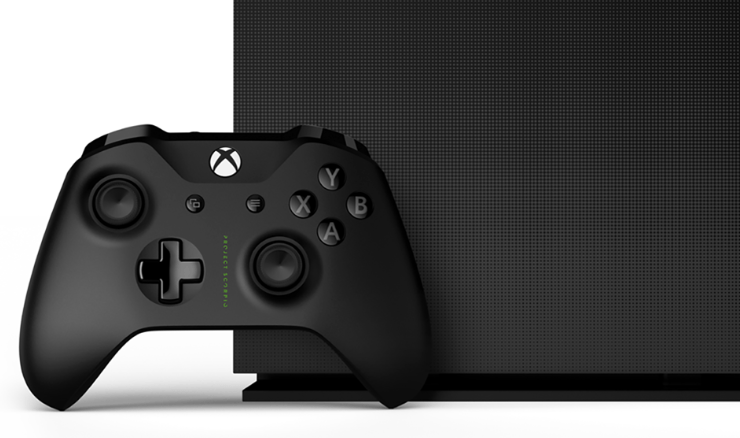 The Xbox One X is scheduled for a global release on November 7. Preorders for the console’s standard edition went live earlier this week.